BASF celebrated cotton growers who achieved four-bale or greater yields by welcoming them to the exclusive FiberMax One Ton Club for their 2018 harvest results. 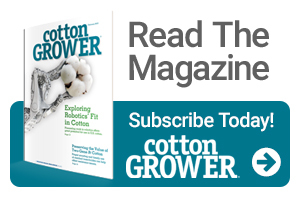 Ninety-one new members joined the club this year, bringing total membership to 1,181 cotton growers. Most acres and most varieties: H Bar H Farms in Dalhart, TX, harvested an average yield of 2,208 pounds per acre on 3,996 acres with FM 1900GLT, FM 1911GLT, FM 1320GL and FM 1888GL. Highest yield: Shane and Sammi Jo McLain of Hart, TX, harvested an average yield of 2,798 pounds per acre with FM 1911GLT. Highest gross value: Doug and Cari Ruble of Visalia, CA, earned $1,530.77 per acre on their qualifying acres with FM 2498GLT. Highest loan value: Steve and Gina Milanesio of Strathmore, CA, garnered $0.5764 on their qualifying acres with FM 1830GLT. Each year, One Ton Club members who attend the banquet are entered into a drawing for a two-year lease on a Ford Super Duty F-350 King Ranch pickup truck. This year’s winner was Rick and Brenda Heflin of Floydada, TX. Heflin qualified for the One Ton Club with FM 2322GL. Most acres and most varieties: Darren and Lorre Haseloff of Farwell, TX, averaged 1,351 pounds per acre on 749 acres with FM 1830GLT and FM 1911GLT. Highest yield and highest gross value: Louis and Pamela Davis of Hawley, TX, harvested an average yield of 1,736 pounds per acre and earned $902.03 per acre with FM 2498GLT. Highest loan value: Ben Gwynn of Robstown, TX, gained $0.5627 on his qualifying cotton acres planted to FM 1830GLT. Maximizer Club members are entered into a drawing for a Polaris Ranger XP 1000 EPS utility vehicle. This year’s winner was Ben Gwynn of Robstown, TX. Gwynn qualified for the Maximizer Club with FM 1830GLT. Additional information on both the One Ton and Maximizer clubs can be found online.